Property 17: Beautiful Spacious Apartment in the city center! Property 19: Apartments with the best view. Centre. 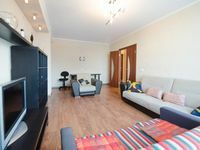 Property 22: Apartments on Belorusskaya.Junior Suite.